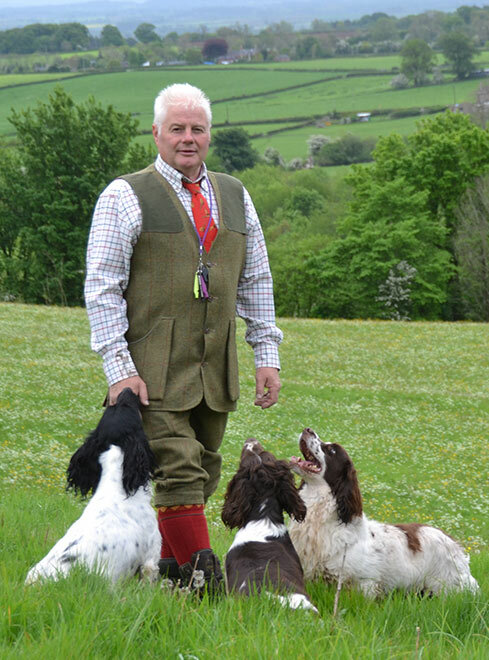 I am Mark Lawrence and I work as Head of Country Sports at the Llanforda Estate. I have extensive shoot experience and have most recently run the Shoot and Fishing at the Brogyntyn Estate. I also have experience of setting up and running a gunroom, buying in and advising on all the guns, clothing and accessories. When I was asked to be involved in the re-establishment of the Shoot at Llanforda I was thrilled. I already lived in the Keepers Cottage on the Estate with my wife Jackie and had a broad knowledge of the Llanforda land. My Uncle Jimmy was a Gamekeeper on the Llanforda Estate from 1930-1940 and I have some wonderful memories of the tales he would tell. I am enjoying working with Dave Maughan who has joined the team as the Gamekeeper at Llanforda. He has 20 years’ experience working with reared game undertaking Keeper duties including building and maintenance of pheasant pens, feeding the pheasants and running the beating line. I work with a regular group of experienced beaters and pickers up. My gundogs are also very much a part of my team. In our first year we developed drives from cover crops on high ground, woodland and the Parkland, the combination of which gave us a challenging first-class shoot. We are thrilled that we had 23 shooting days in the first season of this restored historic Shoot. Plans are already underway for the 2018-19 season. We are preparing some additional drives on the Henblas side of the Estate which will provide stunning high-quality birds. This will include improving tracks and access points for the Guns. With the development of the new drives comes the restoration of several estate buildings which will enhance the shoot day experience. We are committed to making every effort to restore our Estate’s link to its past. When we designed the logo for the Llanforda Sporting Agency we chose to include the oak tree to represent the magnificent trees in the Estate’s park and the corn to represent the various farming operations running within the Estate.